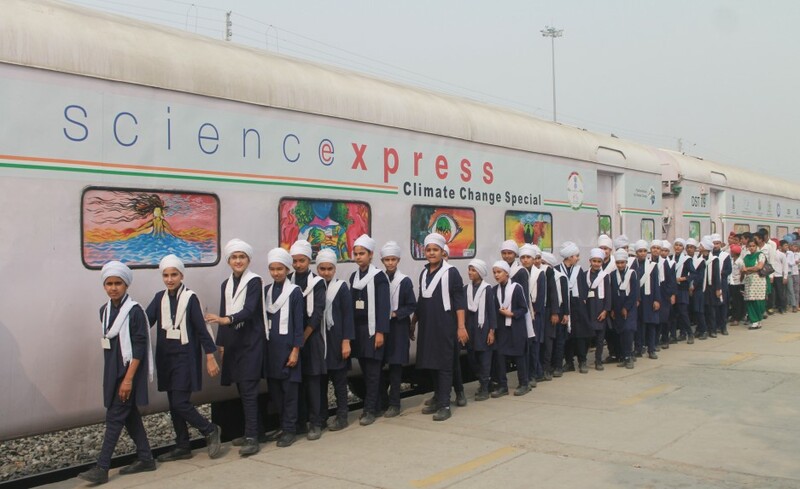 The life on board Science Express is what we Maharashtrians would call a “Chiwda“. A mixture of all the sweet, spicy and other interesting surprises! You always have a social life on Science Express, be it inside the train during duty hours or outside, exploring but personal time is a hard found novelty. The mythical “me” time is always deluding us! That we might get some of it in our share is a complete fallacy. So here I am, travelling length and breadth of the country with the mighty white beast, spreading awareness on Climate change to the masses while observing and enjoying places, culture and traditions and slowly losing my real self somewhere in the crowd. But I think, you always need a connection to yourself before you can connect to people and nature around you. The last day of Kayamkulam (04/07/2017), we checked out of our hotels early and reached the station to sit and wait as the train was yet to be back from Ernakulam and that’s when I caught the sight of a roller (the bird, I mean). First I’d like to tell you that this was my first time in Kerala in the monsoons and being an amateur birdwatcher and photographer, it was heaven to the nature lover in me! I decided to dump my bag with my colleagues and have a tour around the station and get some fresh air on my own. So I folded my pants up, removed my slippers at some place (which I promptly lost after that…. Hehehe), took the camera and left on a short trail out of the station. As I was moving into the aura of nature’s beauty and away from the usual crowd, I lost myself in the sound and smell of the place. Around the corner I spotted a small pond with lots of dragonflies fluttering about. There were the dangerously beautiful reds and blacks, the mildly obscure greens and yellows and among them all I was buzzing about trying to gauge the right moment and the right angle to take photographs. It was great. I also made a friend who was helping me get some clicks here and there by pointing out the dragonflies taking rest. Around me, people were moving on in their way and I think it was fun for them as well to see a barefooted girl with camera completely alone, looking not where she is walking but for what she could capture in her camera and mind. There I had a small and interesting chat with some Malayali aunties who were trying to figure out when and whom I’m planning to marry. Obviously, I wouldn’t tell (wink!). I moved about through the pathways, bushes and properties, sometimes recklessly otherwise with too much caution, and caught lots of birds through the lenses. There were pond herons waiting in shade, kingfisher ready to scoop the victims, babblers flying about and the oriole playing hide and seek. The robins had a game of their own! It felt like they all were trying to grab my attention, moving from one tree to another or waiting patiently for their turn. I felt so lucky to be alive, to have seen and experienced this. I wanted it to last forever but then we also have our obligations and it was also getting warmer (and I was barefoot… oops!). So I moved back, feeling satisfied with how my morning went and still wanting more! !